Beating the red-hot New Orleans Saints was already going to be a tall order for the Dallas Cowboys. However, there's concern that they'll have to do it without All-Pro offensive tackle Tyron Smith. Smith has missed practice so far this week with a neck stinger, which also kept him out of last week's game against the Washington Redskins. He is being called a game-time for Thursday Night Football. Jason Garrett said Cowboys LT Tyron Smith hasn't visited with a specialist to get a second opinion on his stinger issue that kept him from playing Thursday against Washington. He did say he's visited with team doctors this week. He's a game-time decision for Thursday vs. Saints. If Tyron can't play, veteran backup Cameron Fleming should start again. Last Thursday against Washington, the Cowboys didn't look to suffer much without their premiere left tackle. The run game remained solid in Smith's absence, with Ezekiel Elliott rushing for 121 yards. According Pro Football Reference, runs to the left side of the line went for 68 yards on just 11 carries. Dak Prescott was sacked four times in the Redskins game, which certainly isn't great, but also isn't much worse than previous weeks. Dak was sacked twice in each game against Atlanta and Philadelphia, and five times against Tennessee, in the weeks prior to Thanksgiving. In other words, Cam Fleming ain't no Chaz Green. But, unfortunately, Fleming also ain't no Tyron Smith. Thankfully, Smith's status for this week still isn't written in stone. A veteran All-Pro like Tyron can miss practice and still wind up playing. He dressed for last week's game, so perhaps he would have played in an emergency. For Dallas to pull off the upset tomorrow night, having their best players on the field seems a clear necessity. 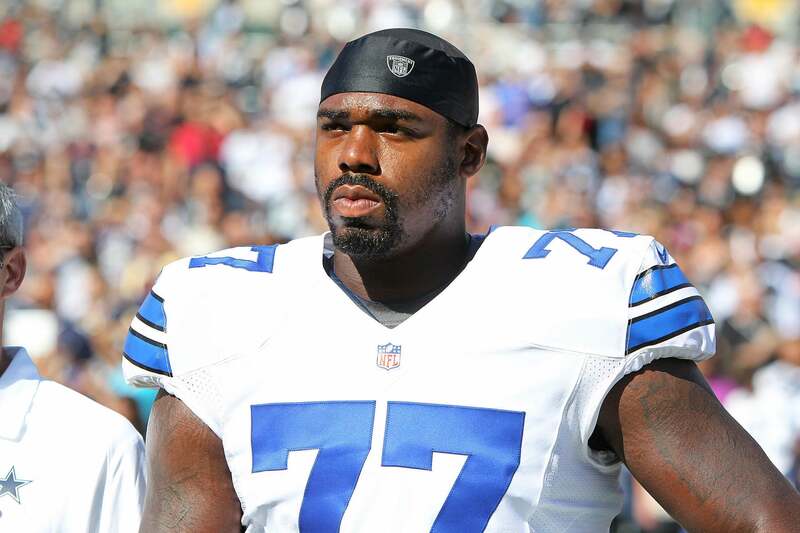 Hopefully, Tyron Smith will be able to return to action and give the Cowboys a better chance.